Like our blog? Then you will LOVE our Facebook Page. Search, click & enjoy plenty of HHW material. What’s the difference between our blog and our FB page? Well… by joining our FB page you can receive weekly material through your newsfeed. 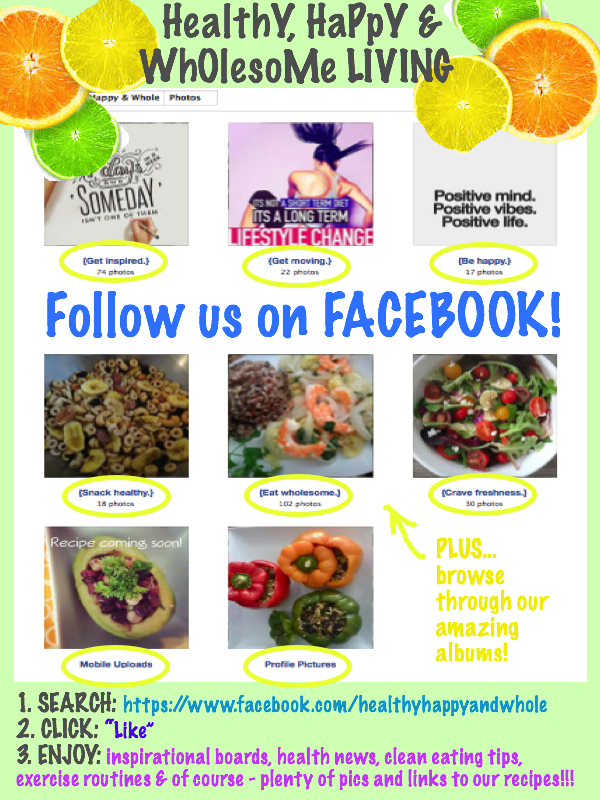 Although we share our recipes, you will find tons of other “Healthy Living” information. You can browse through our albums to find (1) motivational pics, (2) exercise routines, (3) wellbeing/happiness posts, and more!! We also kindly divided our recipes into 3 main categories (1) snacks, (2) salads & (3) wholesome food. Plus once in a while we share exciting health news. Our FB page is definitely for those who are visual & need that extra motivation to get towards their health goal. Finally… If you like it, SHARE IT! Help me educate others about healthy living.